How did we get here? Kevin Fishbain and Arthur Arkush in extremely brief fashion recap how the Bears went to a competitive game with the Packers that gave fans hope to a blowout loss to the Cardinals and lots of panic. We turned the page to the Seahawks and previewed the matchup of two 0-2 teams in Seattle on Sunday with Liz Mathews (7:36) of ESPN 710 Seattle. Liz breaks down why the Seahawks are 0-2, and what to expect from Sunday’s game. Hub Arkush joins the show to help figure out if there ... See More is any way the Bears can gain an edge, and the guys talk to Bob LeGere (22:54) of the Daily Herald to break down Bears vs. Seahawks. 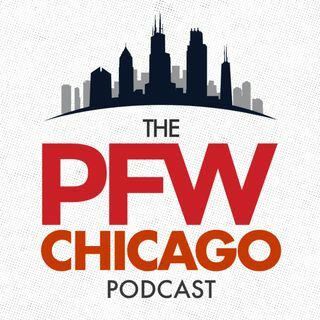 Hub and Bob reflect on the worst Bears teams they covered. We wrap up the show with our predictions … did anyone pick the Bears? Listen to find out!